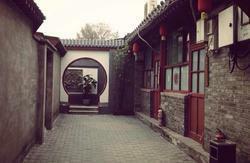 Opened in Dec 2009, Fish Inn Beijing is a a typical courtyard hidden in a small Hutong providing a relaxing escape from the hustle and bustle of modern Beijing. Located in the heart of Beijing-XiDan district, Fish Inn is conveniently connected to key travel destinations. The public transportation system, bus and metro, takes you everywhere in the city. All 7 rooms are stylishly decorated and comfortably set up with modern convenience to ensure your stay enjoyable and comfortable. The common space and yard provide cozy space for you to relax, chat with our staff and meet other travelers. Welcome to fish inn! It is your Chinese home from home. 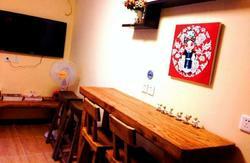 Metro Line 4 XiSi station (Exit D) and LingJing Hutong Station are 7 minutes walking distance from Fish Inn. By taxi: about 30km; cost about RMB120 . By bus: take airport shuttle bus to Xidan station, then take bus No.690 or No.105 to Gangwashi station and walk 5 minutes to Fish Inn. By Metro: take Airport Line and interchange Line 2 then Line 4 to XiSi Station. Walk 7 minutes to Fish Inn. By taxi: about 20 minutes; cost around RMB20. By Metro: Line 2 to XuanWuMen station interchange Line 4. By bus: take bus No. 109 or No.38 and get off at Gangwashi station and walk 5 minutes to Fish Inn. Metro: Exit from Exit D of XiSi Station on Line 4, and walk along North XiSi Street towards South. After passing a church on your right and KFC on your left, look for DaYuan Hutong on your right. 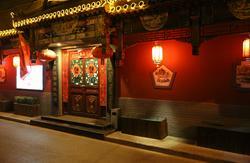 Walk in to DaYuan Hutong towards west, after about 200 meters, turn left (south) at a small cross road. After about 30 meters, at the 2nd T junction, you will find Fish Inn on your right at the corner of the T junction. Go to our website for a detailed map!